Hong Kong gave India a mighty scare at Dubai. It was a bittersweet ending for Hong Kong’s Asia Cup campaign as the minnow fell to a 26-run defeat at the hands of India at Dubai International Cricket stadium on Tuesday. 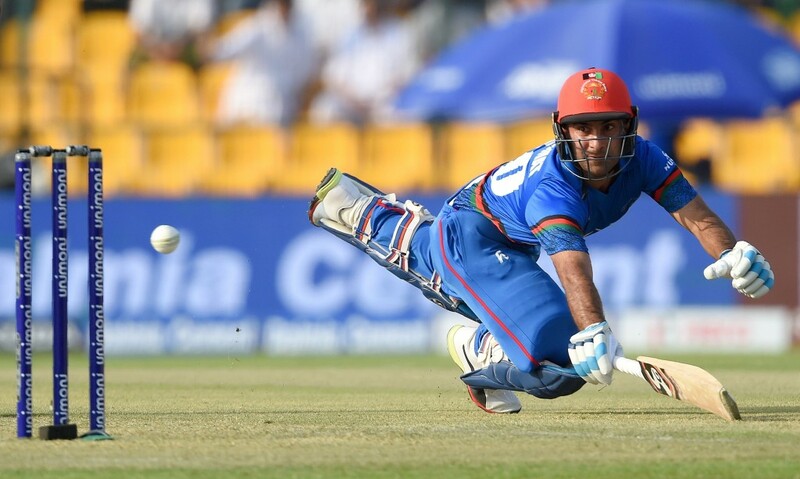 No one gave Anshuman Rath and his men a chance against the No2 ranked ODI side in the world after they were bundled out for just 116 runs in an eight-wicket loss to Pakistan two day ago at the same venue. 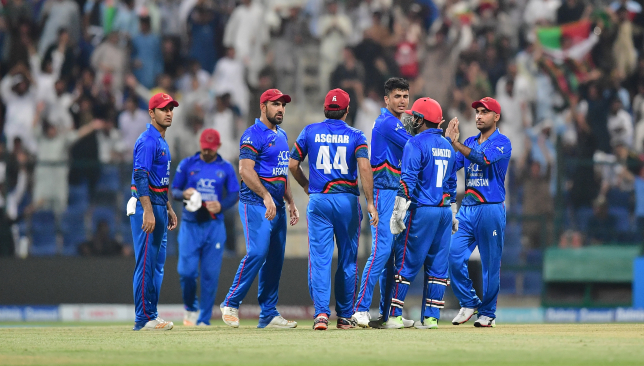 Having had lost their ODI status a month ago, the Associate nation were predicted to be the whipping boys of Group A with arch-rivals India and Pakistan expected to coast to the Super Four. India and Pakistan have now advanced to the Super Four, but not in the manner they would have imagined in the former’s case. On Tuesday, when Shikhar Dhawan and Ambati Rayudu were going great guns with the bat for India, the expected script seemed to be being followed. However, that all changed after the 40th over of India’s innings with Hong Kong’s slower bowlers pulling things back nicely. Only 48 runs came for India in the final 10 overs but even a total of 285 was expected to be too big a mountain to climb for the Associates who had folded for just 116 against Pakistan. Nizakat Khan and Anshy Rath put on 174 runs for the first wicket. 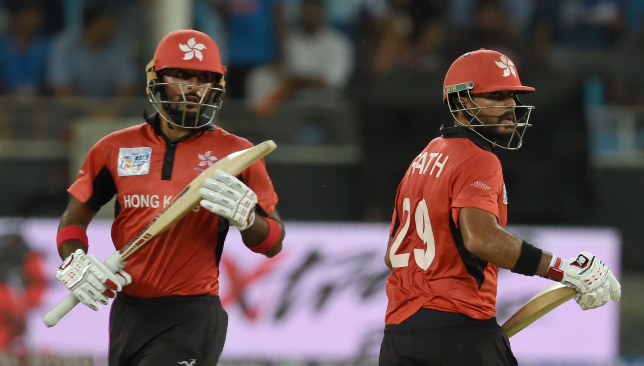 That expected collapse didn’t come with Hong Kong openers Anshuman Rath and Nizakat Khan putting on a record 174-run stand for the opening wicket. For a big period, India were on the ropes with Hong Kong on course to pull off one of the most memorable upsets in cricket history. Ultimately, India drew on their immense reserves to extinguish the minnows’ challenge but Rath’s men had undoubtedly caught the attention of the cricketing world with their never-say-die spirit. The skipper’s desperate dive to complete a tight single during his 174-run stand with Khan had embodied that spirit perfectly. At the post-match, the 20-year-old captain’s mixed emotions after the defeat were clear to see. “I think today was bitter-sweet. We really proved to the world what we can do. In saying that, we had India by the horns and really should’ve finished it off, if we are being hard on ourselves, which we should be,” Rath had stated. Rath’s desperate dive summed up Hong Kong’s performance. For a country where cricket still remains largely an amateur sport, Hong Kong’s display against the global powerhouse of the game is even more impressive considering the fact that there are only three active cricket grounds in the autonomous territory. In fact, one of those three is actually a football ground which doubles as a cricket stadium for international matches. 90 per cent of Hong Kong’s player pool comes from five teams in the Premier Division league. Only 13 players enjoy a full-time contract while plenty in the squad have to take up other jobs to support themselves financially. With their Asia Cup campaign now over, the future remains dark for Rath and his men despite their exceptional showing. 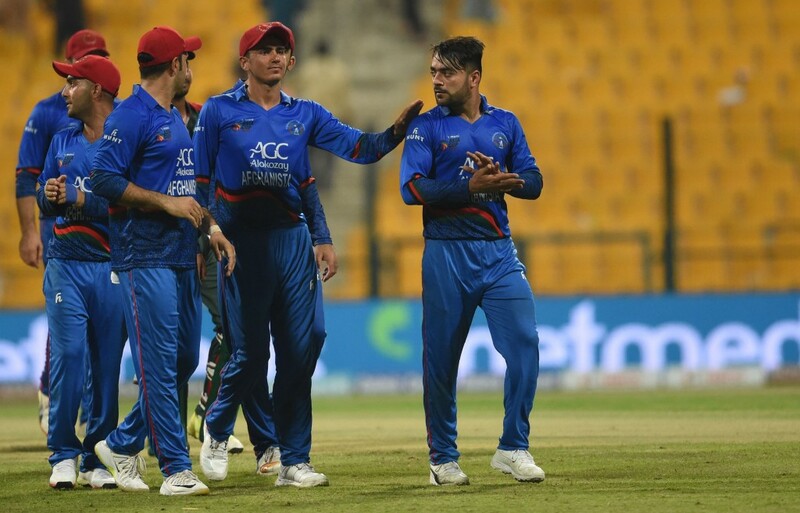 Such are the travails of Associate nations in ICC’s scheduling that their next ODI fixture might not come for another four years. “We don’t know what the ICC has in plan for us. Hopefully, this performance helps. The next three or four years will be a little bit quiet for us, going into a little bit of a rebuild period. But hopefully ICC recognise that associate cricket has got a lot better and today we just proved that,” Rath had said on Tuesday. With the capabilities and spirit Hong Kong have displayed in their brief moment under the spotlight, one can only hope that Rath’s plea does not fall on deaf ears. An uncharacteristically sloppy series for Ajinkya Rahane. 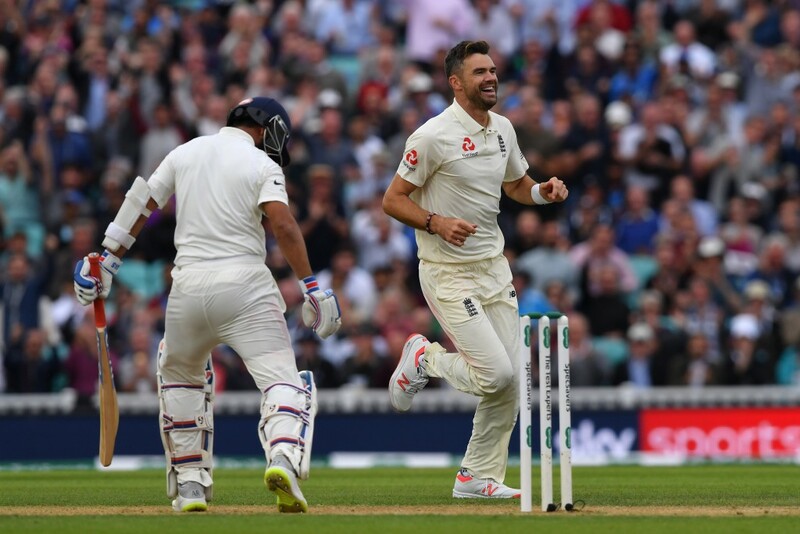 When Ajinkya Rahane toe-ended an attempted slog sweep off Moeen Ali into the hands of Keaton Jennings on the final day of the Oval Test, his dismissal summed up the kind of series he had endured with the bat. The India deputy skipper had just settled into a nice rhythm but threw away his wicket in a moment of madness with the visitors battling to save the Test on the final day. On the face of it, Rahane’s numbers in the series are not so shabby when compared to other batsmen in the Indian line up. He finished as their fourth highest run-scorer in the five-match series with 257 runs while notching up two half-centuries. A series average of just 25.70 does no justice to Rahane’s talents and especially his credentials as an able overseas Test batsman. Despite playing a Test more, he was comfortably outscored by England youngster Sam Curran whose 272 runs came while batting in the lower order. The 30-year-old Mumbai batsman did play two innings of note with his important 81 in the first innings at Trent Bridge and a dogged 51 in the second innings at Southampton. Apart from these two knocks, Rahane has looked a shadow of the batsman was once hailed as the rock of India’s overseas Test pursuits. It is the manner of Rahane’s dismissals which will irk the Indian team management the most. The right-hander has now developed a notorious habit of looking extremely fluent and composed at the crease before throwing his wicket away with some wayward shot selection. Rahane’s uncertainty outside the off-stump cost him dear. What was the most worrying aspect of Rahane’s batting in the series was his tendency to chase at deliveries outside the off stump which could very well have been left alone. Four times in the first two Tests did Rahane display this tendency and all four times he paid the ultimate price by edging the ball towards the slip cordon. 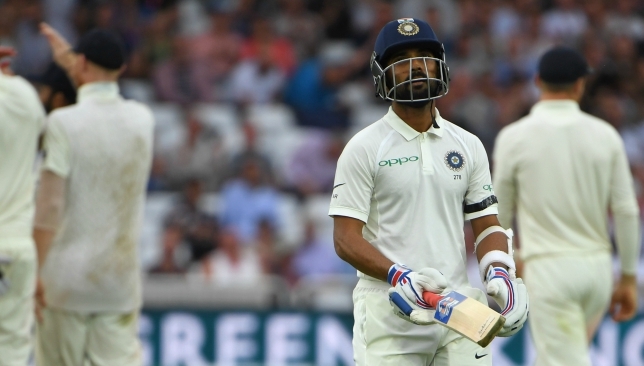 Even in the third Test at Trent Bridge which was won by the visitors, Rahane’s excellent knock of 81 came to an end in the same manner. The sight of Rahane fishing outside the off-stump in cavalier fashion against masters of swinging ball like James Anderson was baffling to say the least. For a large period, Rahane was considered as India’s most bankable overseas batsman. That mantle has now well and truly been taken up by skipper Virat Kohli while his deputy continues to touch new lows. Out of the nine Test tons registered by the India middle-order batsman over the course of his career, six have comes overseas. But, more importantly, only two have of them have come in the last three years. Both of those tons came against Sri Lanka at Colombo in the tours of 2015 and 2017 respectively. The man who was crafting masterful tons at Lord’s and in Wellington in 2014 is now a distant memory and has been replaced by a batsman very much lacking in self belief. From a player who was averaging nearly 50 three years ago or so, Rahane is now only averaging a paltry 30.27 since the start of 2017 and his numbers get even worse when looking at his 2018 displays. Kohli was let down by his deputy in the batting department. While there aren’t too many contenders to take Rahane’s place in the Test line up for now, but as shown by Murali Vijay’s recent axing from the squad, no player, no matter how senior he might be, is safe from the cull in Kohli’s India. If he continues in the same vein, there is no doubt that even Rahane’s days could be numbered. As such, India’s next overseas assignment in Australia could be the acid test for the batsman’s Test credentials. A return to domestic first-class cricket for a while not might be such a bad idea for Rahane given how he has struggled to register the big knocks in recent times. Getting the big scores under his belt before the tour of Australia might just be what the India vice-captain needs for now.